The HLD-7 Battery Grip from Olympus is designed for use with the OM-D E-M1 Micro Four Thirds digital camera. 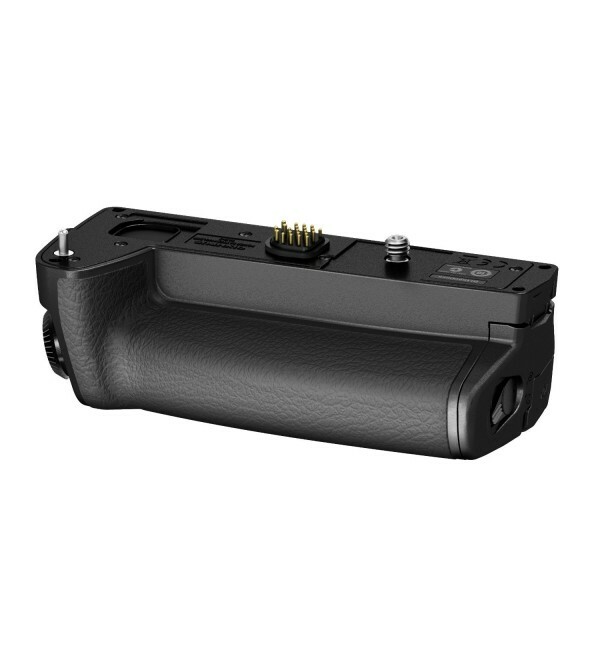 With one battery in the grip and another in the camera, you can capture approximately 680 shots per charge. The HLD-7 features a shutter release, two control dials and two function buttons for shooting vertically, in order to afford the same ease of operation you enjoy when shooting in horizontal position. Its dust- and splash-proof design also complements the weather resistant construction of the E-M1 for shooting in inclement conditions. Additionally, battery and grip sections are separated, and an optional Grip Strap GS-5 is available for added security. For long periods of continuous shooting, you can use the optional AC Adapter AC-3 to conserve battery power.